We have been learning about adjectives this week. 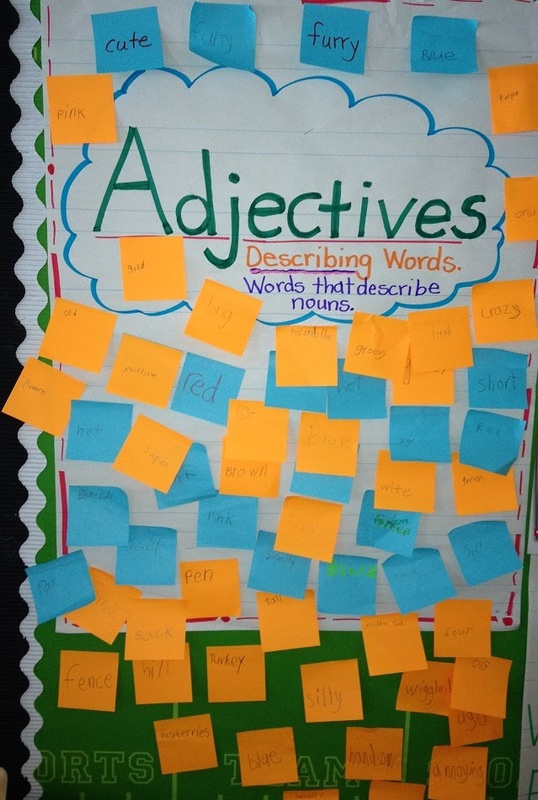 After a group discussion on what an adjective is, students brainstormed adjectives wrote them on a sticky note, and added them to our anchor chart. The kiddos also loved searching for adjectives while "reading to self" with the books in their book bins. Students wrote any adjectives they found in the text on a sticky note and added it to the anchor chart. Give these kids a sticky note and you think I gave them a new car! It seemed like every 5 minutes I was hearing "Woah! Look how many we have now!" each time a students added a new adjective to the chart. I just love that enthusiasm! We continued learning about adjectives with a really fun game from Lucky Little Learners. After assigning partners, students were given a numbered brown paper lunch bag that was filled with a little something. Students worked collaboratively with their partner to list 10 adjectives to describe their hidden surprise. Partners read aloud their adjective clues and the other classmates tried to guess the hidden surprise that was in the brown paper bag. I love making learning fun and I love when my kiddos have fun learning! 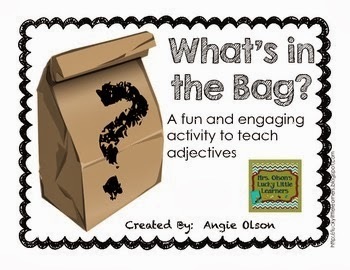 You can find Lucky Little Learners Adjective Mystery Bags for FREE here .